Hundreds at UW-Milwaukee protest Budget Repair Bill and cuts to education | Fight Back! Milwaukee, WI - Hundreds rallied at the University of Wisconsin-Milwaukee (UWM), March 14, as protests continue against Governor Scott Walker's anti-union, anti-people attacks. The rally was the third mass action taken at the university in recent weeks and included speeches by student, community and union leaders. Joel Ramirez, a former UWM student and member of Youth Empowered in the Struggle, riled up the crowd when he said, “Wall Street lives lavishly and recklessly while we the people are left to pay the bill.” Ramirez went on to stress the need for African Americans and Latinos to stay united in the struggle and to oppose the oncoming attack on immigrants, which will include attempts to deny in-state tuition for undocumented students. 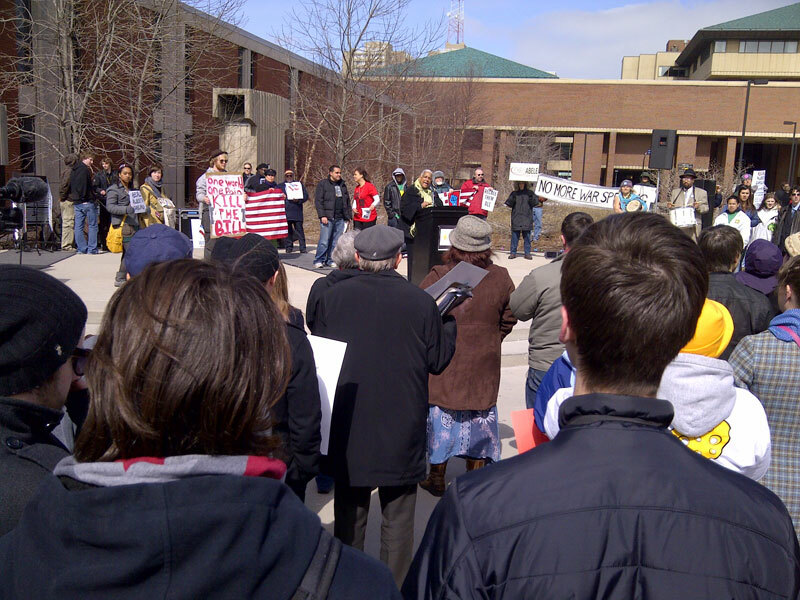 UWM United organized the rally and intends to play a role in defeating the Budget Repair Bill and defending the University of Wisconsin system from budget cuts and privatization.